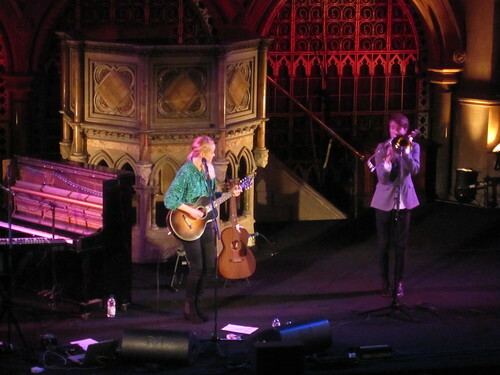 Tina Dico at Union Chapel, originally uploaded by webmink. We had an evening out last night in London at Union Chapel, an excellent venue for acoustic gigs. We saw & heard Tina Dico, who has a wonderful voice and writes strong, reflective songs.